A man has driven a car into a busy square in southern China, killing at least nine people and injuring 43, local government officials say. 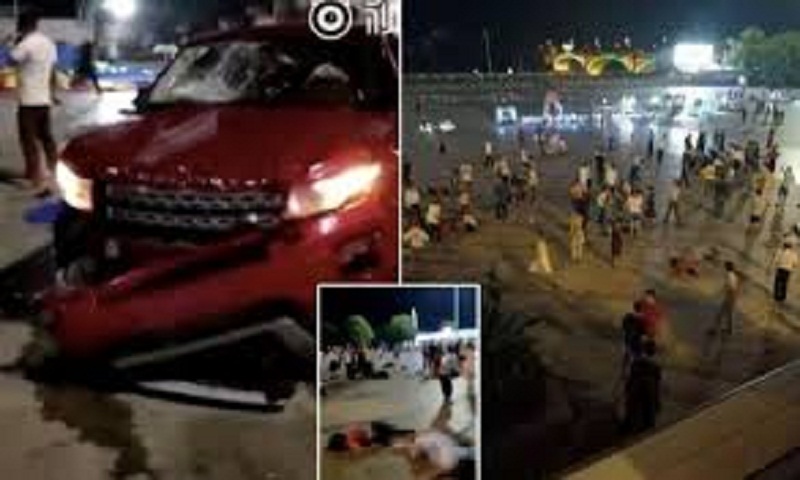 The red SUV drove into Binjiang square in Hengyang city, Hunan province, at 19:40 local time (11:40 GMT). Local media say that some victims appeared to have been stabbed. The driver, who has a criminal record, has been detained, officials say. Officials have not said whether the incident is terror related. A local government statement described it as a “deliberate, malicious case of driving with intent to injure”. The injured have been taken to hospital and investigations are ongoing, it read. Video footage from the scene on Chinese media shows people running out of a packed square. Others kneel down to help or carry the injured away, as bodies lie on the ground. Police have reportedly named the suspect as a 54-year-old man, Yang Zanyun. Local media say criminal records show Mr Yang served time in prison for arson and drugs related offences.